Many important economic and political debates today refer to the nature and the role of the State: should governments intervene in the economy and interfere with the operation of markets? In which occasions, and how? In order to better understand these questions and the controversies they have raised, this book re-considers the debates crucial for the issues at stake, the most important schools of thought, and the central concepts in an historical perspective. After a tribute to Sir Alan Peacock and the first publication of two hitherto unpublished papers written in the 1950s, the chapters focus on important developments that occurred in Europe during the 19th and early 20th centuries. The final part includes contributions on public economics after World War II, focusing on concepts such as merit goods, externalities and the "Coase theorem". 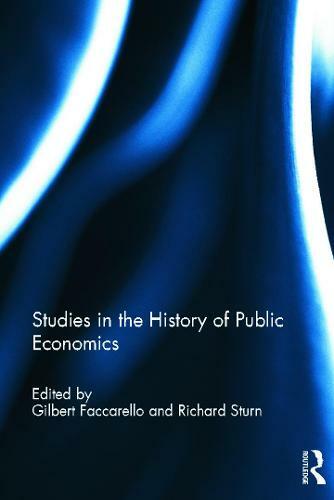 This book was originally published as a special issue of The European Journal of the History of Economic Thought.